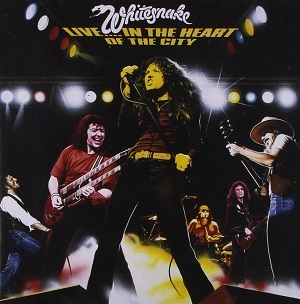 Live In The Heart Of The City is a live album by Whitesnake. It was recorded at the Hammersmith Odeon in London on the 23 June 1980 (songs 1 to to 9) at the Hammersmith Odeon on 23 November 1978 (songs 10 to 15). The 1978 songs had previously been issued as Live In Hammersmith but only in Japan. The album was released in November 1980. It’s still worth checking around on the websites to make sure that there isn’t a more up-to-date or less expensive option. Do you think that this album is the best Whitesnake live album? What do you like or dislike about it? Whitesnake are included in my poll to find the best live album by the members of Deep Purple (marks 2 to 4). At this stage Whitesnake were playing a blues rock style of rock and I’ve included this album in the poll to find the best blues rock live albums. My aim is to help you to find the best live albums through readers polls, my own reviews and from bringing in Amazon reviews. You can see the complete list of readers polls at Live Album Polls. This entry was posted in 1970s Live Albums, 1980s Live Albums, Blues Rock Live Albums, Heavy Metal Live Albums and tagged 1970s Blues Rock, 1970s hard rock, 1978 live albums, 1980 live albums, 1980s Blues Rock, 1980s hard rock, blues rock 1978, blues rock 1980, Hammersmith Odeon Live Albums, Heavy Metal 1978, heavy metal 1980, Whitesnake Live Albums by Paul Simister. Bookmark the permalink.